For many years now, music therapy has been becoming more prevalent in the healthcare and senior care industries. With music therapy, music interventions are used to accomplish individualized goals within a therapeutic relationship. For example, it may be used to calm a confused Alzheimer’s patient, or learning an instrument could help an autistic child communicate with his or her parents. New evidence even suggests that music therapy can help hospice patients. The primary goal of hospice care is to promote a patient’s quality of life by easing their symptoms, whether those symptoms are physiological, psychological, social, or spiritual. All in all, the goal is to reduce stress. Many tried and true methods have been used throughout the years; massage therapy, art therapy, aromatherapy, etc. Data from a survey study of 300 randomly selected hospices shows us that music therapy has quickly made its way to the top of the list for popular types of therapy, with massage therapy being at the top of the list. Many healthcare and hospice providers are still not aware that this type of therapy exists, or how its effects can actually reduce physical pain and mental and emotional stress in hospice patients. Or, if they are aware, they don’t know that music therapist are Board Certified professionals with an extensive educational background in the field. 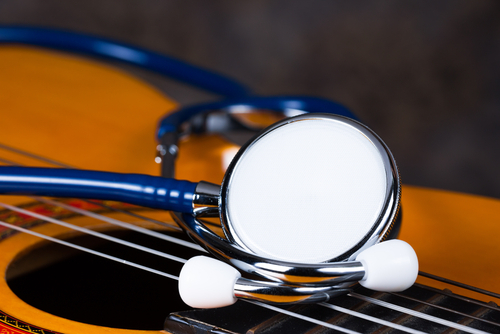 Music therapists that serve hospice communities or work in any other type of healthcare setting must be Board Certified (MT-BC) by the Certification Board for Music Therapists (CBMT). Whether your clients’ Hospice Community employs Music Therapists or any other type of Therapist, it’s imperative that they be financially protected with a strong Hospice Community Insurance Program. At Care Providers Hospice Community, we understand the need for hospice care providers to have a flexible and comprehensive insurance program to cover their risks and safeguard against liability losses, property damage, and accidents.